September and October are busy months at Corinth! It was disappointing that we had to postone Fall Fest but turned out to be the right decision. Join us on October 5th for the rescheduled event. Please see additional information below. Each year the PTA has a Fall Fundraising drive to raise money for Corinth to be able to continue to pay for our math aide, social worker, maker space, field trips and much more. The goal of the Fall Fundraising drive is to encourage ALL parents to contribute whether or not you are attending the parent parties. The suggested donation is $125 per student but any amount is very much appreciated. 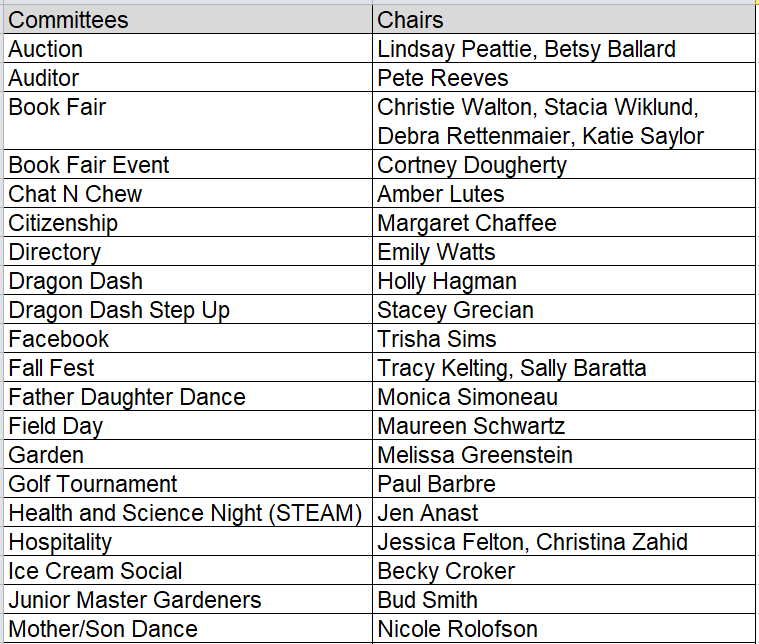 The parent parties coming up in September and October are a way for the PTA to thank you for your donations. Your donations go directly to the school and does not cover any of the costs for the parent parties. Our wonderful hosts from each grade open up their homes, coordinate the parties and cover all of the costs associated with the parties including food and drinks. 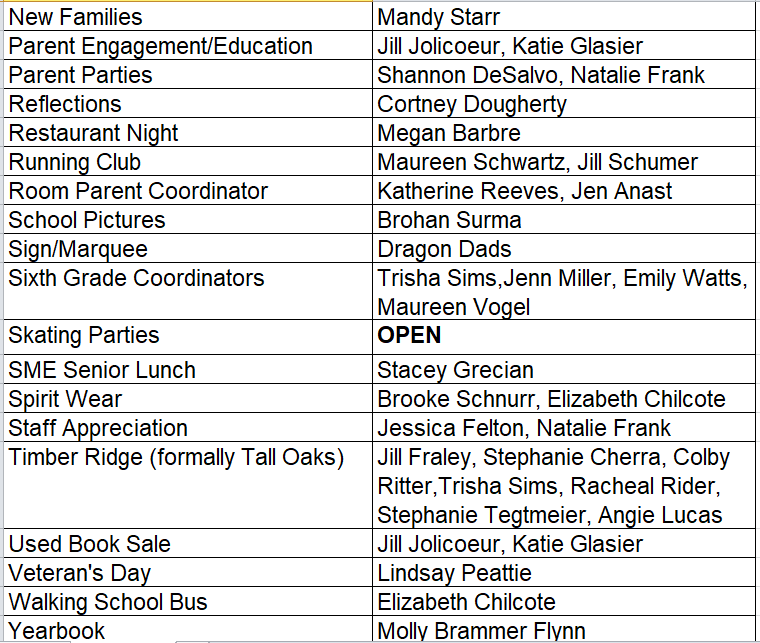 Be sure to visit the online directory to make your Fall Fundraising donation and mark your calendars for the parent parties if you are able to attend. The school is conducting two bike safety assemblies on September 24th for our children. It is a great opportunitiy to teach them the safe way to bike to school. Parents please note that our children will be told to continue to ride on the sidewalks. While this may be bothersome for walkers, it is imperative that we keep our kids safe and NOT allow them to bike in the streets. However, they will be taught proper edicate while passing walkers on the sidewalks and parents should continue to teach them as well. Thank you for your understanding! Culver's Restaurant Night is this week....Tuesday, September 11. Please join us that evening to support Corinth. Lastly, we in are jeopordy of having to cancel the Talent Show next spring as we still don't have a chair. This is one event that the students really look forward to. Please let me know if you are interested. Fall Fest has been postponed to Friday, October 5 from 5:30-8:00, with all the same fun and food as previously planned. Spirit week will not be repeated, and we enjoyed all of the festivities this week! We WILL wear CES spirit week on the new date, Oct. 5. Volunteers: please confirm that you can work the new date, Oct. 5. If you need to change your sign-up, please do so online - cancel if the new date does not work or sign up if the new date does work now. We're still looking to fill two chair positions. We need a chair to coordinate the Talent Show AND Skating Parties. If interested, please contact Leanne Beezley. If we don't find chairs soon, these events may take place. Please help out if you can! !